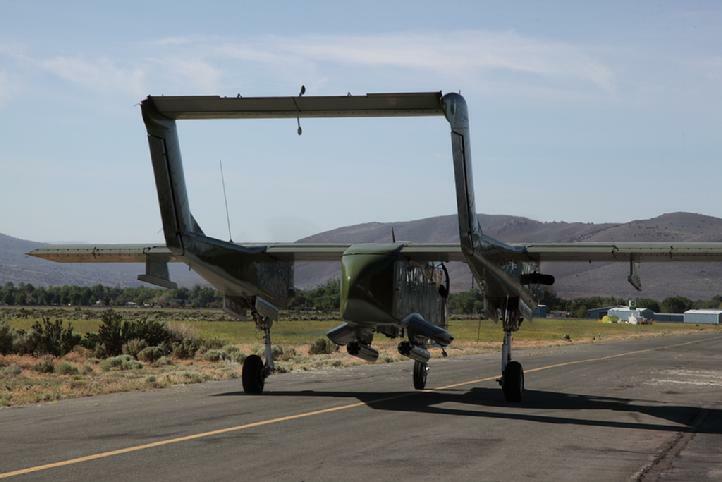 Powerplant: 2 × Garrett T76-G-410/412 turboprop, 715 hp (533 kW) each arcu. Manfactured in 1970 by the North American Division of Rockwell International for the West German Airforce. Used by the German Airforce as a target tow aircraft. This aircraft did not have the dual seat capability of the American OV-10A USAF counterpart along with no armaments. 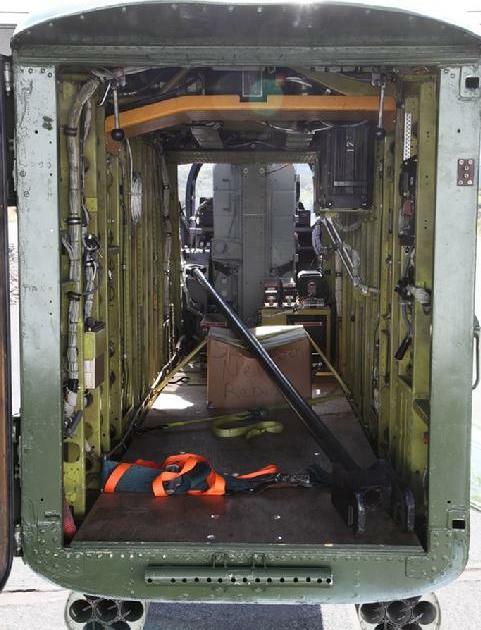 Flown in this capacity until being phased out on 1990 and subsequently placed in storage until being purchased by the Cactus Air Force in 2001. 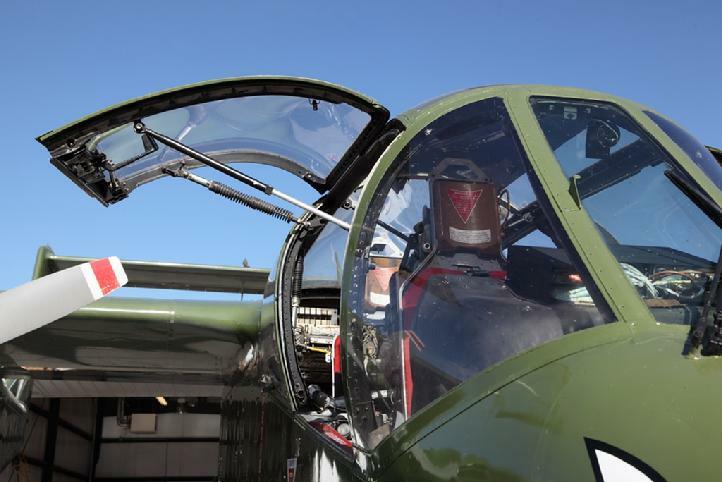 Imported by the CAF in 2002 and rebuilt to flying status in 2004 in full OV-10A configuration with dual seat cockpits and armaments. 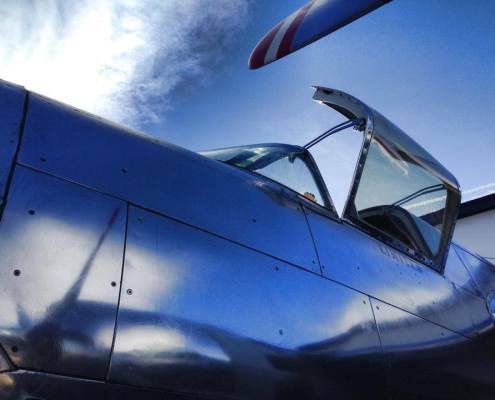 This aircraft has (2) Garrett T-76 Turblshaft Engines of 815 shaft horse power and currently is the only privately owned and flying “Bronco” in the United States. 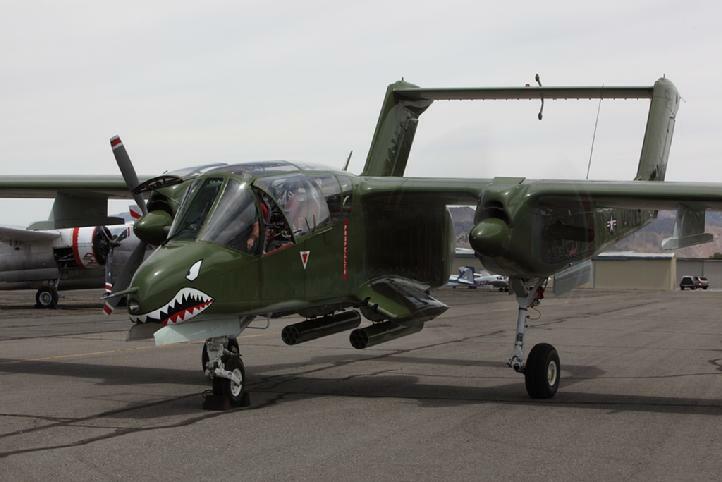 The North American Aviation Rockwell OV-10 Bronco is a turboprop light attack and observation aircraft. It was developed in the 1960s as a special aircraft for counter-insurgency (COIN) combat, and one of its primary missions was as a forward air control (FAC) aircraft. It can carry up to three tons of external munitions, and loiter for three or more hours. The OV-10 served in the U.S. Air Force, U.S. Marine Corps, and U.S. Navy, as well as in the service of a number of other countries. A total of 81 OV-10 Broncos were ultimately lost to all causes during the course of the Vietnam War, with the Air Force losing 64, the Navy 7 and the Marines. The OV-10 was first acquired by the U.S. Marine Corps. 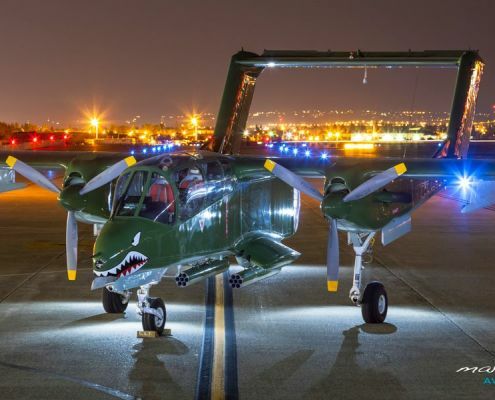 Each of the Marine Corps’ two observation squadrons (designated VMO) had 18 aircraft – nine OV-10As and nine OV-10Ds night observation aircraft. A Marine Air Reserve observation squadron was also established. The OV-10 operated as a forward air controller and was finally phased out of the Marine Corps in 1995 following its employment during Operation Desert Storm, which also saw the final combat losses of OV-10s by US forces. Among these losses were two USMC OV-10s being shot down due to a lack of effective infrared countermeasures. It was also thought that the slow speed made it more vulnerable to anti-aircraft weapons.Forward air control passed mostly to ground units with laser designators and digital radios (GFACs) and the twin-seat F/A-18D Hornet (FAC(A)s). 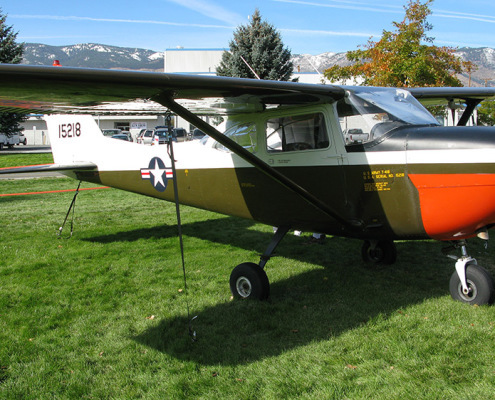 Most operational U.S. Broncos were reassigned to civil government agencies in the U.S., while some were sold to other countries. 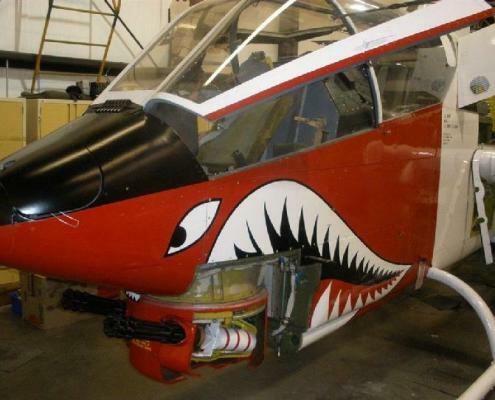 The U.S. Marine Corps OV-10 Night Observation Gunship System (NOGS) program modified two OV-10As to include a turreted forward-looking infrared (FLIR) sensor with a co-boresighted LASER Target Designator and turreted 20 mm (.79 in) M197 gun slaved to the FLIR aimpoint. The BuNo of the two converted were 155395 and 155396 (note-Wikipedia states four were modified; CAF has it on authority from a pilot, Jim Dearborn, who flew in Vietnam as part of a combat eval that two were converted). NOGS succeeded in Vietnam, but funds to convert more aircraft were not approved. NOGS evolved into the NOS OV-10D, which included a laser designator, but no gun. 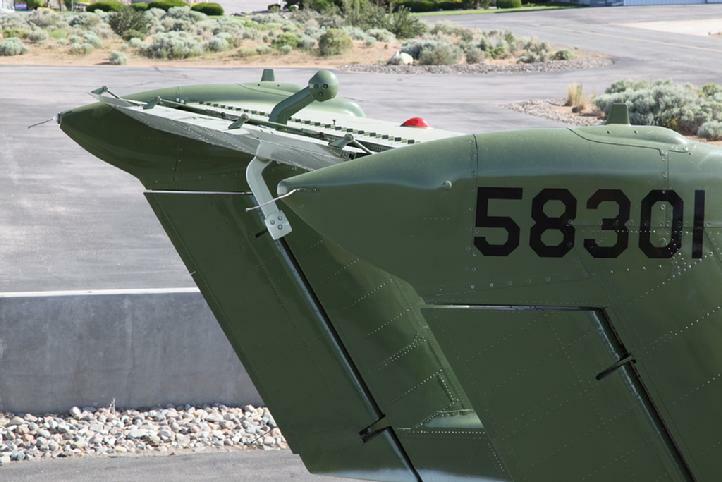 The USAF acquired the Bronco primarily as a FAC aircraft. The first combat USAF OV-10As arrived in Vietnam on 31 July 1968 as part of “Operation Combat Bronco”, an operational testing and evaluation of the aircraft. These test aircraft were attached to the 19th Tactical Air Support Squadron, 504th Tactical Air Support Group at Bien Hoa Air Base in South Vietnam. The test roles included the full range of missions then assigned to FAC aircraft, including day and night strike direction, gunship direction, bomb damage assessment, visual reconnaissance, aerial artillery direction, and as escorts for aircraft engaged in Operation Ranch Hand. The aircraft’s ability to generate smoke internally was utilized for strike direction and “in four specific instances under conditions of reduced visibility, the smoke was seen by strike aircrews before the [OV-10A] [was] detected.” Operation Combat Bronco ended on 30 October 1968. In April 1969 the USAF conducted an operational exercise, called Misty Bronco, to evaluate the OV-10A’s performance as a light strike aircraft. The results were positive and as of October 1969 all USAF OV-10As were to be armed with their internal .30 in (7.62 mm) M60C machine guns, which had generally been left out during the Combat Bronco evaluations and subsequent deployment. High explosive 2.75 in (70 mm) rockets were also authorized for use against ground targets. In 1971, the 23d TASS’s OV-10A Broncos received modifications under project Pave Nail. Carried out by LTV Electrosystems during 1970, these modifications primarily included the addition of the Pave Spot target laser designator pod, as well as a specialized night periscope (replacing the initial starlight scopes that had been used for night time operations) and LORAN equipment. The callsign Nail was the radio handle of this squadron. These aircraft supported interdiction of troops and supplies on the Ho Chi Minh Trail by illuminating targets for laser-guided bombs dropped by McDonnell F-4 Phantom IIs. 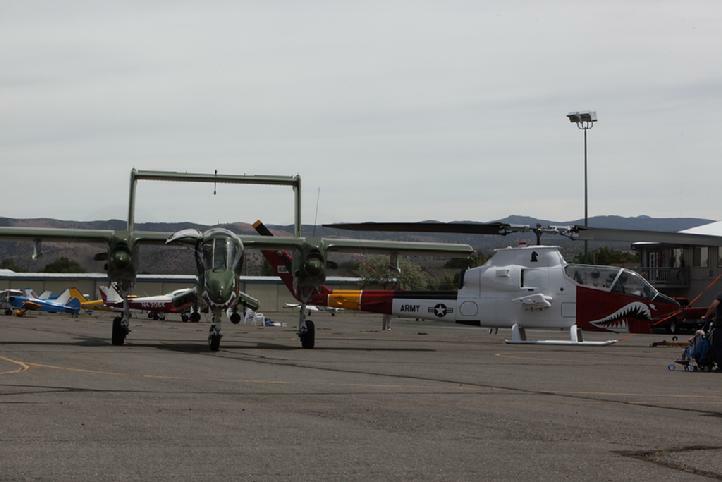 After 1974, these aircraft were converted back to an unmodified OV-10A standard. The U.S. Navy formed Light Attack Squadron Four (VAL-4), the “Black Ponies”, on 3 January 1969, and operated in Vietnam from April 1969 through April 1972. 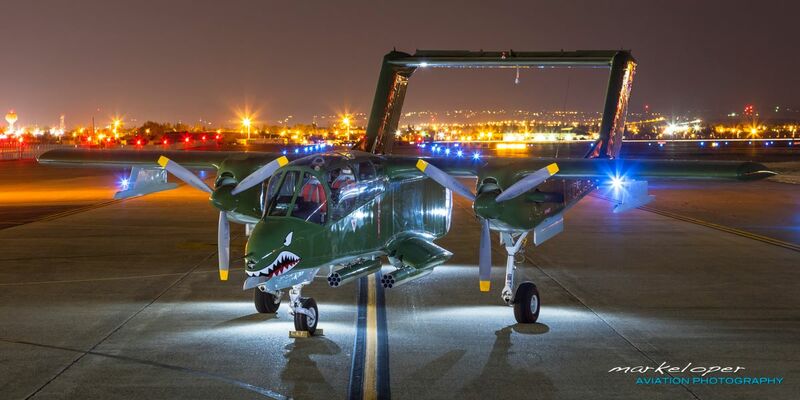 The Navy used the Bronco OV-10A as a light ground attack aircraft, for interdiction of enemy logistics, and fire-support of Marines, SEALs and river boats. It succeeded in this role, although the US Navy did lose seven OV-10s during the Vietnam War to various causes. Other than OV-10 Fleet replacement training done in cooperation with Air Antisubmarine Squadron Forty-one (VS-41) at NAS North Island, California, VAL-4 was the only squadron in the U.S. Navy to ever employ the OV-10 and it was decommissioned shortly following the end of the Vietnam War. 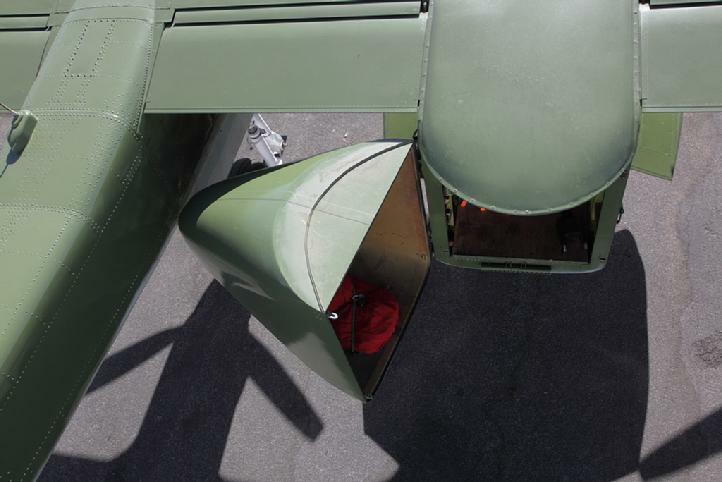 VAL-4’s surviving OV-10s were subsequently transferred to the Marine Corps.